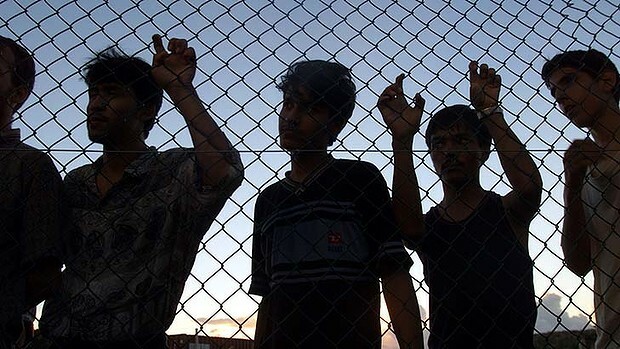 Is the vilification of refugees a generational issue? What I mean is that it baffles me that in Australia in 2014 we are entertaining the current level of conversation about how refugees should be treated, given our proximity in time to the Second World War. After all a very significant proportion of our population can trace their roots to European antecedents who chose to make a new life for their families, moving out of the ruin and wake of WWII. 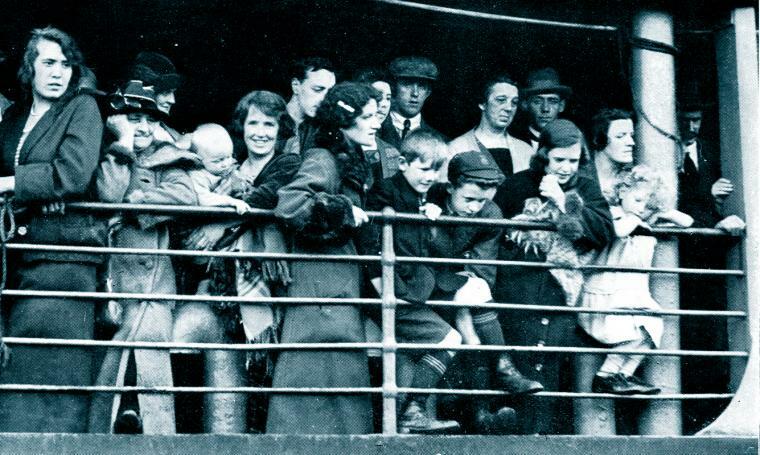 Many who made the move at that time were – by contemporary parlance – “economic migrants.” Today I hope we look back at the pioneering spirit of that generation with gratitude and pride. I am often humbled and inspired when I meet women and men of that generation, see the businesses they built and realise their immense contribution in building today’s Australia. Yet today to be labelled as an “economic migrant” is to be viewed with suspicion or resentment. To be termed a “refugee” arriving in the country with nothing, having had to leave everything behind, is often viewed even more negatively still. Early in the Twentieth century refugees began flowing into Europe from Russia. These were people fleeing persecution. Fear of their religion and racial prejudice led to insufferable persecution which forced them from their home country and into Europe where they applied for asylum on humanitarian grounds. At that time Germany understood the cruelty and severity of the “push factors” in Russia and allowed the refugees to settle. A generation later the mainstream population had forgotten that whole story. Following the time tested angle of uniting people against a common enemy (real or imagined) the Nazi party capitalised on the paranoia, anxiety and racism of a population now under intense economic pressure. The chatter they generated made it normal to speak of the intake of refugees as the refugee “problem” – rather than as something natural, noble and humane. In neighbouring Britain it was not unusual to hear upper crust Brits bemoaning the refugee problem or “the Jewish Problem” to be more specific. The Nazi regime decided the solution to the problem was to take the Jewish refugees and their children to the Nth generation and incarcerate them indefinitely in detention camps. 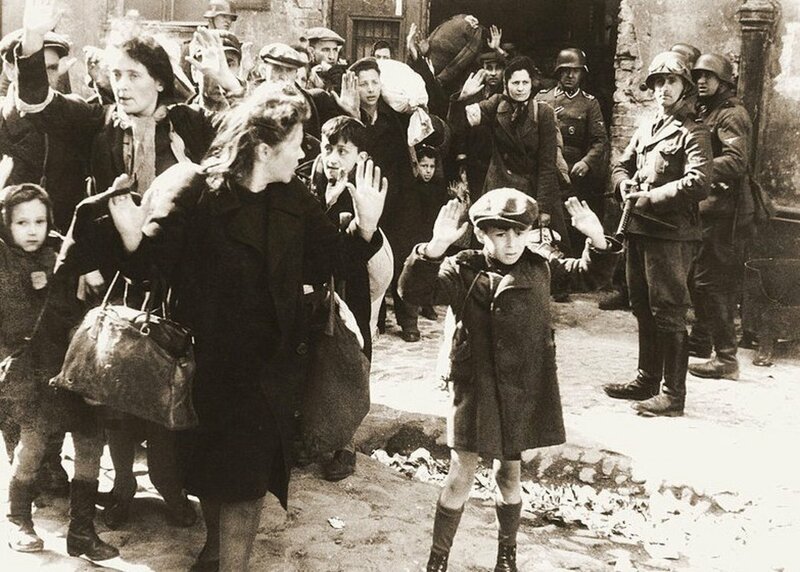 When they did this there were many in Germany who applauded the government’s seriousness in “tackling the problem.” Refugees who succeeded in escaping the push factors – ie persecution – now in Germany were not always received kindly in wider Europe or the U.S. There was a significant meaure of “I’m alright Jack”s who preferred to remain uninvolved in “political” issues. It was only after the war that the full horror of those detention camps was, by film, revealed and pushed into everyone’s awareness. These camps had been allowed to exist and their atrocities to unfold because mainstream Europeans were able to square their consciences with the first step in the process – the policiy of indefinite detention of refugees and their children. Through the course of the war it was only gradually that the wider world repented of its ear-stopping and began to listen to the stories of the refugees fleeing Nazi rule. Gradually the world opened its ears and paid attention to the “push factors”. Once these were learned, nobody could maintain that the refugee problem or “Jewish problem” could be solved by forcing refugees to return to their places of persecution and there to meekly apply for a travel visa through the proper local government channels! 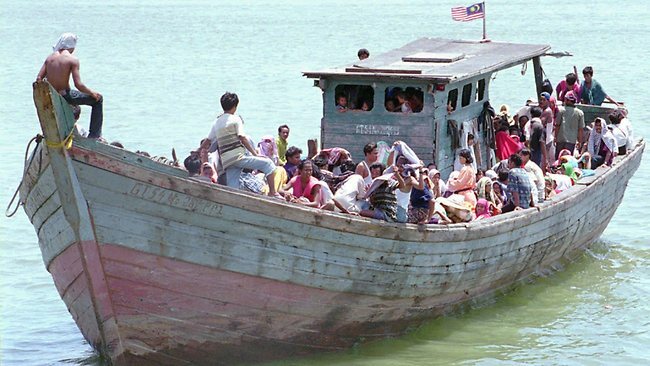 The only way desperate refugees can travel to Australia is by boat. 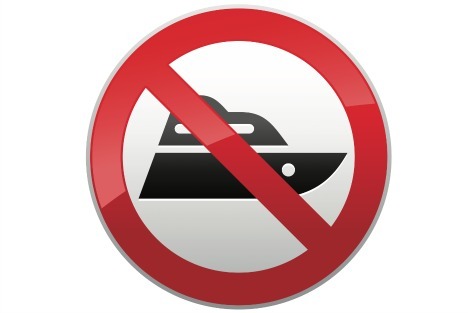 If you stop the boats then there is no refugee problem. Gradually the world understood that stopping the boats, trucks, trains, horse-drawn carts and the poor on foot – and sending them back – could in no way be regarded as a successful policy response. Such an ear-stopped policiy could be seen only as the very depth of inhumanity. It is only if we stop our ears to the push factors in play that such compassionless indifference can persist. Once our ears are stopped – and we think we know the story without listening further – we have seen that all kinds of abuses can then be meeted upon mothers and fathers and children on government orders in total divorce of the morality and compassion of mainstream society. (Hence the quote from Captain John Ingram O.A. – below). As soon as my ears are opened to hearing people’s stories I then have to ask how I would hope to be treated in the same circumstance. Then I have to do accordingly. That, surely, is the most fundamental moral principle. The comedian Anh Do may seem like a cultural side show to the central tragedy of the refugee story in Australia. But I take his popularity and success – and his access to the media – as a sign of hope. Because his harrowing yet joyful testimony hints at an answer to the question: when will we as a society begin to unstop our ears to the stories of today’s refugees? Or when will we as a society give attention to the factors that have pushed people to abandon everything and beg for the mercy of asylum? When will we ask why refugees are risking their lives on leaky boats to escape the regimes of be it Sudan, Iran, Syria, the Central African Republic, India, Pakistan, Zimbabwe, Afghanistan and Indonesia itself? Now as before religious and racial persecution are forcing innocent families to desperate measures. The severe persecution of Christians, progressive or moderate Hindus and Moslems accross those countries is a story that seems to be touched upon only lightly by the mainstream media. The chatter generated by our politicians, which invokes unapologetically the language of paranoia and vilification continues to dominate the popular discourse on the subject. And that, for me, is a mystery. We have seen so graphically where patterns of persistent vilfication, policies of indefinite detention and habits of ear-stopping led our parents, grand-parents and great grant-parents in the Twentieth Century. How then can we give a moment’s tolerance to those same things if we have learned anything from the pogroms and concentration camps and the wider social behaviours that supported them in the Second World War? Seventy-Five years on from the outbreak of WWII, is it simply that today’s policy designers are of a generation that has somehow forgotten the whole story? Retired senior Royal Australian Navy Officer – Captain John Ingram – who hit out at the Federal Government’s stop the boats policy as “morally corrupt and totally indefensible…It is not the Naval way of doing things…For our leaders to proclaim personal and religious ethics amazes me,” he said. RAN Captain John Ingram was recognised in 2014’s Australia Day honours with an Order of Australia Medal for his decades of work supporting the Indo-Chinese community, and also for leading a naval rescue of 99 asylum seekers from a sinking boat.